Do I need to see a doctor right after my car accident? You may be tempted to not seek medical treatment after a car accident, especially if the vehicles were traveling at a slow speed and you do not believe you were injured. This could be a big mistake if you later need to pursue a claim for compensation against the negligent driver. Any time you are involved in a car crash, you should see a doctor immediately if there is any chance you suffered injuries. To obtain the medical care you need. If your injuries are obvious, you should know that you need to see your doctor. However, some victims try to tough it out, causing themselves more pain and risking complications. In addition, you could experience a serious injury, such as a traumatic brain injury, spinal or back injuries, or internal bleeding, where the symptoms do not develop until days or weeks after your crash. Seek medical care soon after the wreck to avoid causing your medical condition to worsen into an emergency situation. To document your injury. If you must seek compensation from the driver who caused your crash, you not only need to prove his negligence, but also that your injuries were caused by his actions. 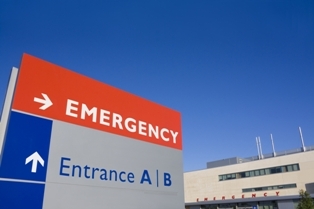 Seeking medical care is a crucial way of documenting that your accident caused your injuries. To avoid a legal issue. Whenever an accident victim delays getting medical care, it gives ammunition to the negligent driver’s insurance company to deny the victim’s claim. Insurance adjusters frequently argue that the injuries were caused by a reason other than the accident when a victim waits to see a doctor. Do not give the insurance company a reason to deny your claim by failing to seek medical care promptly. Hopefully, you sought medical care right away. If you did not, do not think this is a fatal mistake. You could still be entitled to compensation from the negligent driver. I urge you to call me today at 706-863-6600 or toll free at 888-795-6261 to schedule a free, no-obligation consultation.